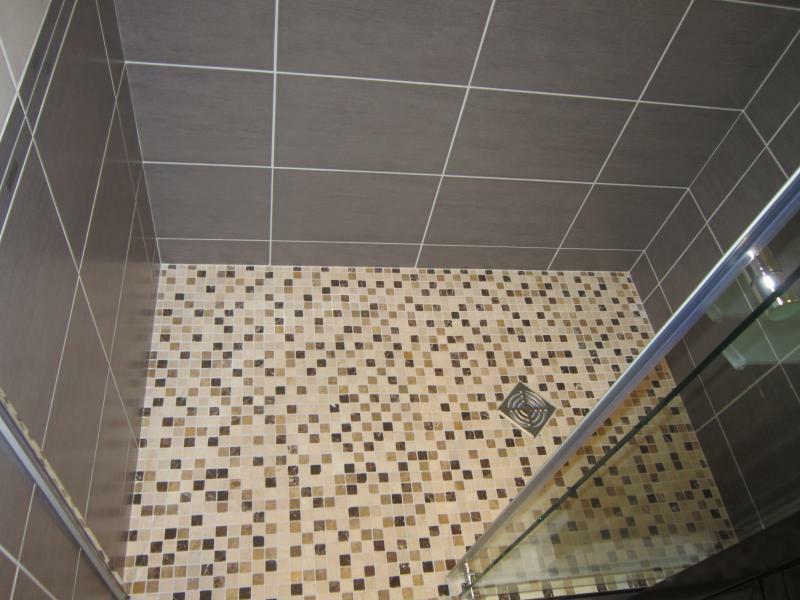 Modern apartment for 4 people, renovated and newly equipped with private covered parking! kitchen / dining area with "high end" integrated dishwasher, induction hob, large fridge / freezer and microwave, electric oven, extractor hood, coffee maker, toaster, raclette machine, vacuum cleaner, iron, etc. Sitting area with sofa bed 140x190, flat screen LED 82cm TV, DVD player with USB and PS2 game console. Bathroom (renovated) equipped with a walk-in 90x140 shower with sliding glass wall, glass washbasin and heated towel rail, separate WC. Door with 2 balconies with mountain view, east-facing so sunny all morning! The apartment is on the 1st floor and serviced by a lift, in Rue Richelieu in the village center of Cauterets, 150m walk to the gondola, 250m from the spa treatment center and close to all amenities! The village is at 950 m altitude at the foot of the "Parc National des Pyrénées" and is ideal for downhill skiing, cross-country skiing, snowshoeing and hiking. - LOURDES SNCF / TGV station: 26 km (30 min) via shuttle bus from train station Cauterets! 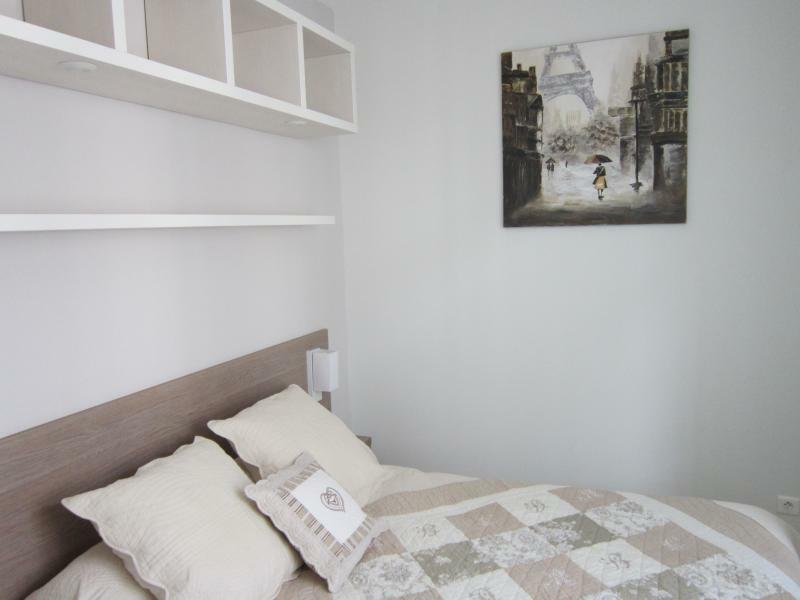 The apartment is great, it is very nice and cozy, it shows that it has been recently renovated. It is also very well equipped and does not lack anything. The owner is a sun, we had a problem with the boiler and in a few hours it was solved! We will be back! 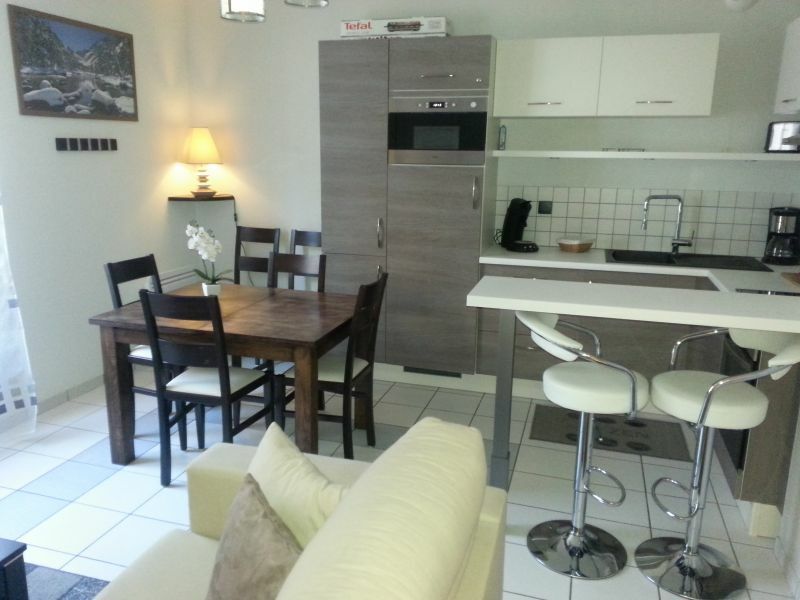 - very well located: close to the gondola and shops. 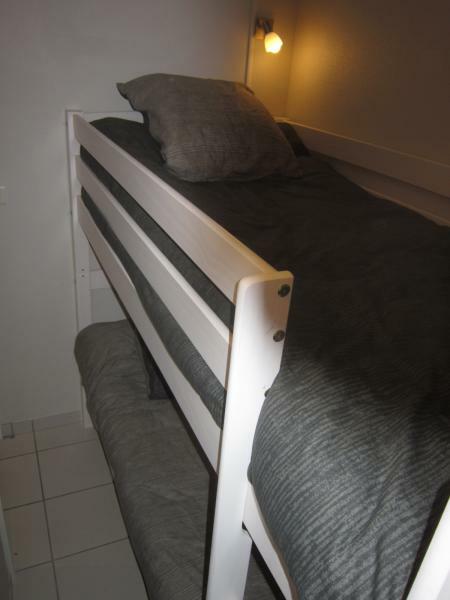 Very clean apartment, very well equipped and with a range of equipment. Well located in the center of Cauterets. All the shops are within walking distance. Presence of a secure parking space in the basement, very convenient when you do not want to use his vehicle every day (but access to book cars of medium or small size). The accommodation is very nice, super equipped and fully in line with the announcement, however, plan a half day to clean the floor to ceiling because the requirements of the owner are maniaquerie. Indeed, we had the unpleasant surprise of receiving an SMS from the owner complaining of the state of nonsense of his apartment. I add that the agency had validated the cleaning of the apartment so that the deposit is returned to us in full. I also add that we have been renting and renting different accommodations for 20 years, and we have never had this kind of derogatory remark. there was probably a concern with the person in charge of the inventory (which is commissioned by the agency) and indeed the head of the agency recognizes it, the verification certainly did not have to be done, this fact the deposit will not have to be returned to you, at least under these conditions! For what you call yourself "maniaquerie" as I already told you, we can understand that everyone is not the same appreciation of what is called cleanliness, personally for us this simply comes out of "the wrong time andthe non respect of others "one thing is certain, it would not have been possible to propose to new tenants the apartment in the conditions as you left it! 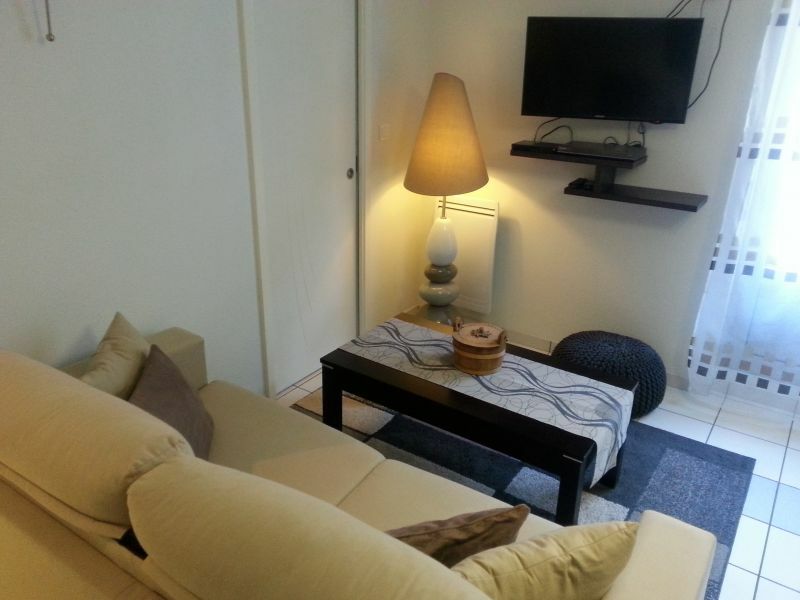 Apartment very well located, modern (except internet), pleasantly furnished, with all the comforts to have a good stay. Very nice apartment in accordance with the announcement. Great location. Nice benefits. 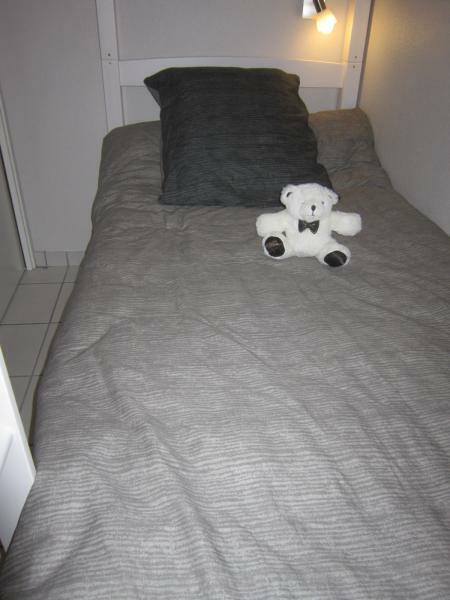 Pleasant stay in Cauterets in a sumptuous apartment, any comfort and ideally located. VERY NICE LOCATION, well furnished there is everything necessary. A perfect place in the city center, especially regarding the distance to the gondola (it must be 100 m) and the Bains du Rocher (for evening relaxation after the tracks). I would just say: perfect !!! Rental and picture conforms to the announcement, nothing is missing is like home !! And just nearby, ski rental, bakery, grocery, cable car .... I recommend this property. Thank you for your comment Mr VALERO, cordially. The apartment is very clean and well equipped. A very important point, the parking space in the basement that is secure. The small town of Cauterets is very nice and there are shops with the added bonus of beautiful walks. 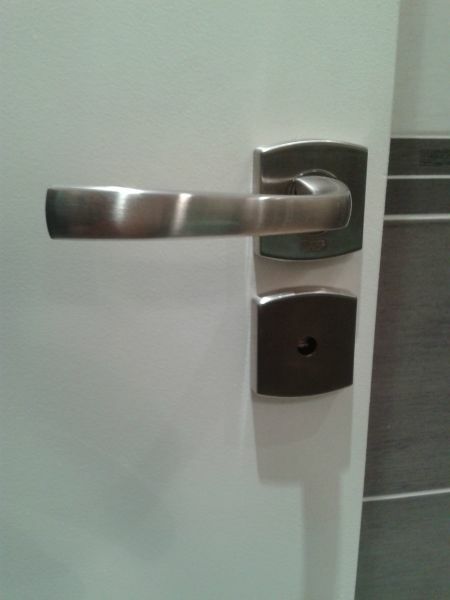 New apartment, well arranged and well equipped. 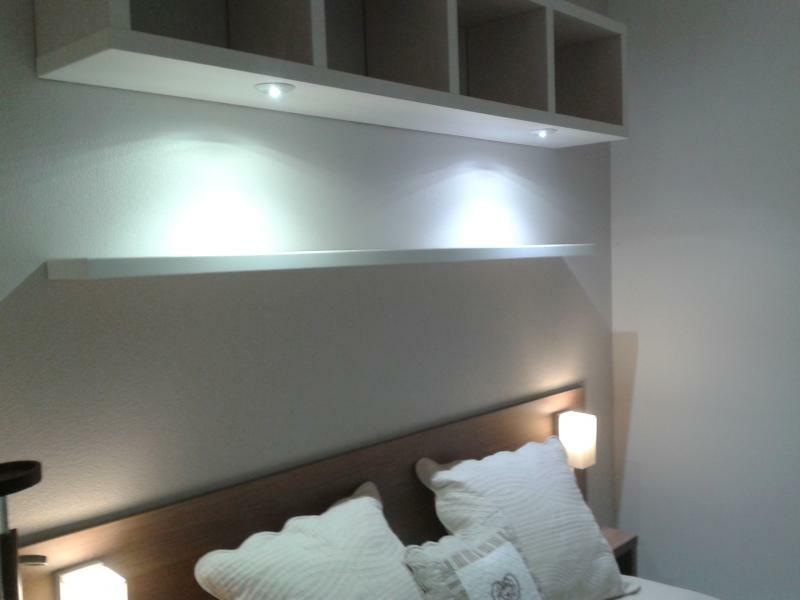 Apartment quiet, well-equipped, newly renovated and very clean. comfortable bedding. Private garage (precious during school holidays) and individual ski locker. Close to shops and the gondola. To compensate for the lack of washing machine, there is a laundromat a few dozen meters from the building. Proper monitoring of the booking by the owners (contact, exchange of documents ...): this is appreciable. Apartment very well located, well equipped, and very clean. Apartment conform to the announcement. Do not engage in the parking lot with a break. Apartment nice couple. Apartment very nice and well located. Convenient for travel for families with children we have not taken the car of the week. Very pretty area to see. I recommend this apartment. Good communication with the owners of the apartment. Nice little apartment, renovated well equipped, very clean, ideal in summer when it is very hot, but sad in low season, because lack of light and a touch of color in a bland decor. Lack washer more useful than the dishwasher, the wifi was a plus. Good location in the city. 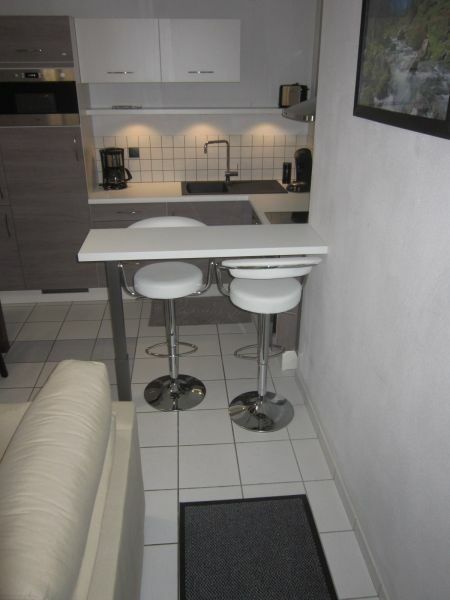 Very nice new apartment, modern and functional, perfect for 3 people. The private parking in the basement, but is significant and practical to avoid if you have a "big sedan "
Very pleasant stay in this property very clean with nice bedding, recommended order without worry. 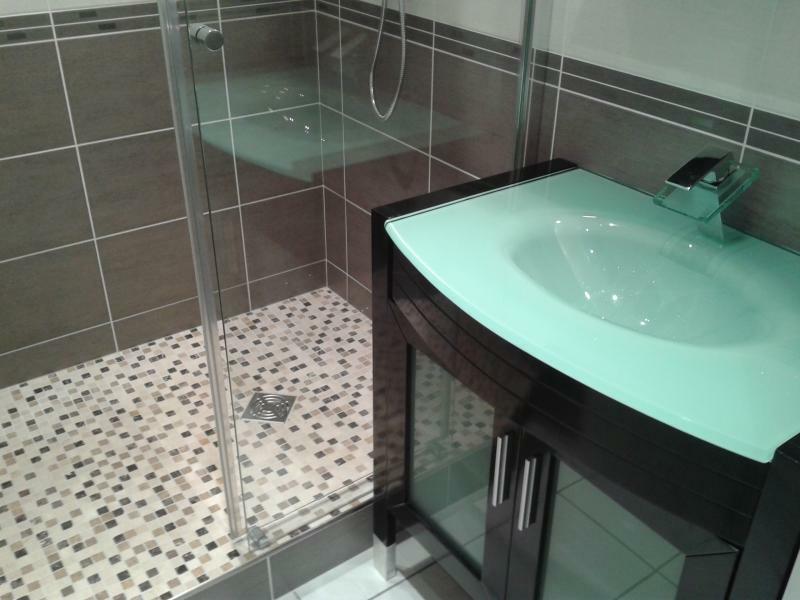 We were very pleased with this property which is entirely consistent with photos (very clean and well equipped). The apartment is very well located, which is definitely a plus as its proximity to the gondola by its location within the village. We were a couple with two teenagers and everyone could live at their own pace. 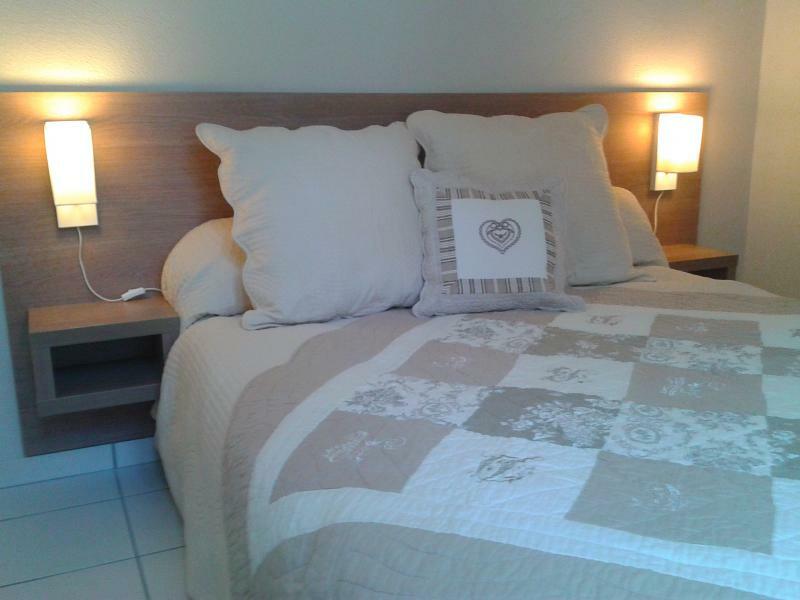 Very nice apartment, clean, decorated and tastefully furnished. Equipment, very complete, is quality. It is very well located, close to shops and the gondola. Parking is a real comfort. We spent a very pleasant stay. 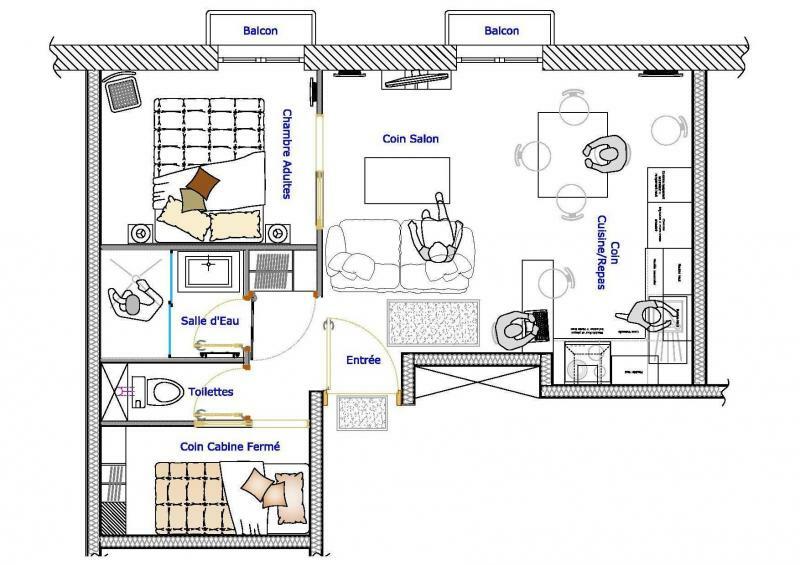 Nice little apartment, well designed and very well equipped. Beautiful decoration. Very good location, close to shops. We have had a great time, thank you! Apartment very charming, tastefully decorated.